How are you doing on your Cirque Socks? Probably better than me. I’ve been working too much. I’ve been distracted by media meltdowns. Two of my friends have had single-serving-sized cyclones blow through their lives. Good thing I have knitting. The thing is I’ve reached the tricky part of the Cirque Sock pattern: the heel flap. This is the part of the Sock-A-Long that I really wanted to get right. The magic of sock making is all in the heel and the instructions for this heel are a bit… vague. 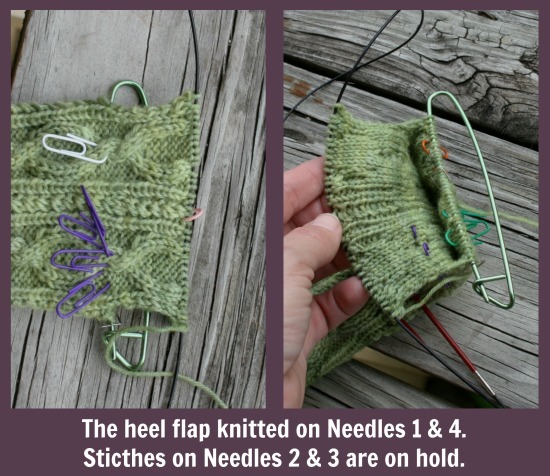 I wanted to make up for that vague-ness with an uber knit-nerdy post that dives deep into how I’m making my heel flaps. If you are making these socks too and find the pattern to be a bit of a head scratcher then take a deep breath and let’s jump! If you are not knitting these socks and just vicariously following along, this post may bore you. You may find yourself decorating your body with post-it notes. Or trying all the tiny perfume samples you store in your bathroom drawer because you can’t bear to throw them away. Or looking up Chuck Norris jokes on the internet. Let me save you from those and even more terrible fates with a Bored Cat Picture Series stolen from various websites. Earlier I advised having four sections/needles each with an equal amount of stitches. Setting up that way makes the leg section much easier. Now we need to do a bit of re-arranging. Section/Needle 1 and 2 can stay the same but we to need shift two stitches off of section/needle 4 and move them to section/needle 3. We also need to add markers to remind us, us absent minded types, especially the ones whose name starts with a “J”, of which section/needle is which. I’m using a plethora of colored paper clips. You know, pattern writers make knitting (and crochet) seem freaking complicated. Which leads to me my next sock-related ramble. Why? Whyyyyyyyyyy must experienced knitters make knitting seem so hard? Why do so many of them, especially the ones that write patterns, have to speak in knitter-ese? What’s wrong with English or Spanish or German or all those other languages on the currently approved list for communicating with fellow humans? And what’s wrong with adding a helpful in-progress picture of a partially made sock? And here is a novel idea: patterns should include the actual instructions for each section of the pattern. Writing stuff like “continue in pattern” is just freaking lazy. And like all lazy acts it makes for more work on someone elses part. Someones like you and me who have to stop and take the time to figure out what the actually means. Hate that. Are you feeling bored and slightly put off by my grumpy bitching? Okay. It must be time for another completely unrelated cat picture. So let’s make that heel flap already. The heel flap is worked flat in rows. Its worked on sections/needles 1 and 4 only. I put all the stitches for sections/needles 2 & 3 on stitch holders. Waste yarn would work too. Making this flap isn’t hard. Its just a continuation of the cable pattern you were making in the leg. But because the pattern writer choose to be lazy very, very succinct there is some stuff you need to know that is not actually explained in the pattern. She makes the assumption that you are a seasoned, experienced knitter and can catch on. I never make that assumption. Its not that I think knitters are dumb. I don’t. But I do think knitters come in all different experience and confidence levels. for the small size, start your heel flap on the Wrong Side with Round Row 10. For the large size, start with Round Row 11. That means for the small size all Right Side Rows are odd numbered. For the large size, all Right Side Rows are even numbered (which is a bit strange but can’t be avoided). Remember how you slipped two stitches off from section/needle 4 and put them on section/needle 3? Yeah. That means when you start each Right Side row you don’t have that “TW” to work. Start those rows with the “p1”. 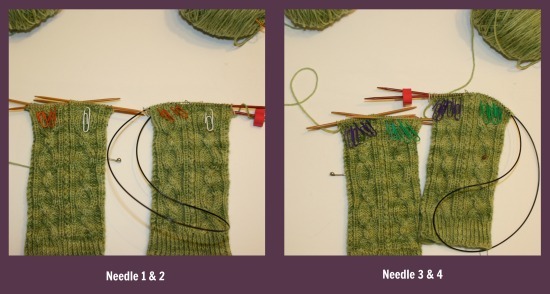 And for more experienced socks knitters that may be wondering, yes I think you can slip the first stitch in each row. I did not, but only because I’m staying faithful to this pattern for review purposes. If I wasn’t… I’d slip the first stitch of every row. That will get you a heel flap, a quite pretty heel flap that continues the cable pattern all the way down the back of your foot. Practical? maybe not. But it makes for a gorgeous sock. And let’s have final bored kitty pic just to reward anyone who has bothered to read this far. 14 Comments on "Sock-A-Long: Don’t Get Flapped By the Heel Flap"
The cats are bored because they don’t knit. Or follow elections, instructions or directions. Cats do, however, freak out over lots of things. Many of them invisible to the humans they live with. Heels freak me out. Patterns frequently force me to give up puzzling them out and just proceed on my clumsy way. So thanks for the detailed instructions. These socks might, just might, turn out wearable. 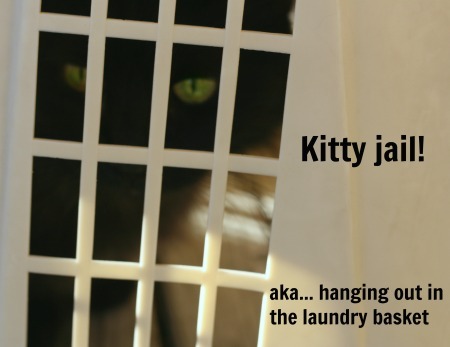 Kitties certainly do have their own set of priorities. And I agree with you on the “invisible” things that they seem to be obsessed with. What must be going on in their brains? But then humans freak out over the dumbest crap too so we can’t judge. I’m happy to help shed some light and keep on stitching! It my mission in life! I do love to make people smile. I rally like the straight forward way you write things, for us ordinary folk. I agree, that there is not much sense in writing ‘knit-ese’, when there are, and will always be people who are fairly new to knitting. I think I read about being able to knit two socks at once, and I thought that a capitol idea. Was I just dreaming, or is that possible ? On one set of circular needles I mean. I’m saving all of your instructions anyway, and I know they will be wonderful when I try my next pair. Thanks Jenn. Thanks! I think life is complicated enough already. There is no need to make things harder with knit-ese. As for two-at-a-time socks, yep that is a thing. Its a modification of magic loop and you do need a long-ish circular needle. Both socks are knit on teh same needle, each pulling from a seperate ball of yarn. 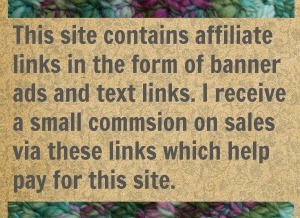 Check out Liat at KnitFreedom. She has a two-at-a-time “anything” video that might help. Knit-ese is all about “you realy need my instructions to knit anything bc knitting is so complicated, why don’t you buy my pattern?”, especialy when it applies to simpler designs. Perhaps detailed instructions are essential for ingenious, innovative and complicated pattern. Two at time is real pain for me. I don’t find it pleasant and relaxing when I need to deal with two tangling piles of yarn and long cord of circulars at the same time. No thank you. i’d rather have my knitting relaxing and stress free. Thank you. Edification is a good thing, even if you do know the subject fairly well…there will always be off days when you read the directions wrong and can’t figure out what to do next. Those cats sure know how to show their boredom! Those cats are spoiled rotten! Which is exactly how cats are supposed to be. Happy to be the edifier and I agree about those off days. Plus, it never hurts to have a something to check your work against. Prayers for all of New Zealand. God be with you.